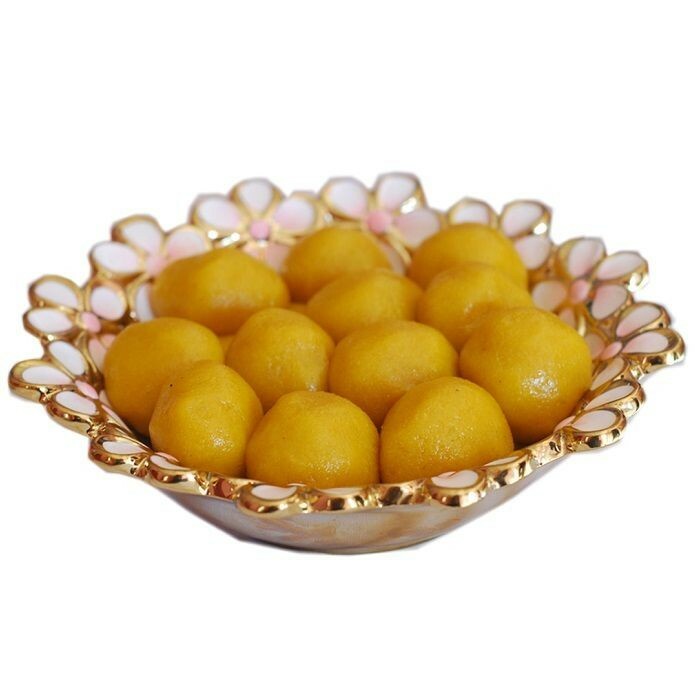 Buy Jaisalmeri Ghotua of Dhanraj Ranmal Bhatia from Jaisalmer online | Authentic Indian Sweet , Savories and Delicacies from the place they originate by Moipot. Popularly known as the 'Taste of the City', Ghotua is made of Desi Ghee & gram flour. The additional use of cardamom and saffron render a unique taste to the sweet & soft Ghotua. Their method of preparation has been passed on through 11 generations. The secret recipe makes this item unique and you won't find these authentic mithai outside Jaisalmer. Get your hands on this luscious sweet made by the legendary sweet makers of Jaisalmer. One bite and it just melts in your mouth filling it with all the deliciousness!